Made of COMFORTABLE High Quality Genuine leather, won't pilling or peeling off. With Ajustable Stainless Steel Metal folding Clasp, not Metal Alloy. 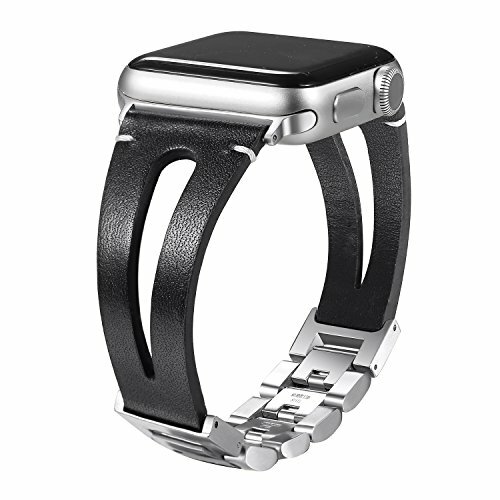 Secbolt Vintage Fashion Leather bracelet transform your new Apple Watch match your favorite jewelry and clothing.